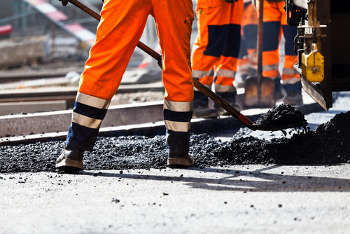 The Civil Engineering Contractors Association (CECA) said that as part of its year-long study into the use of frameworks, 71% of members frequently reported workloads that were less than anticipated while 64% indicated a regular lack of workload visibility. It added that a majority (56%) of members said it is common for frameworks to have unnecessary second competitions while a similar proportion (54%) said frameworks frequently favoured lowest cost over quality. Marie-Claude Hemming, CECA’s director of external affairs, said: ‘Over the past few years, our members have indicated that while frameworks can be a useful tool to organise and deliver civil engineering projects, they do not always work effectively. Frameworks should be based around a clear valued work bank with a commitment to deliver work in the framework. Once established, frameworks must be used by customers. Frameworks should deliver a specified minimum value of work for all participants, with subsequent work distributed on quality of tender performance and delivery. The number of companies on a framework should be proportionate and balanced in relation to the framework’s value and the number and type of projects available. Pre-Qualification Questionnaires for frameworks should adopt proposals being developed by industry for a single industry standard approach.